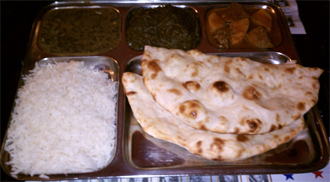 Founded by Mohan Singh in 1979, each dish contains ingredients from Singh’s own line of exotic spices which are available for purchase on site or at Singh’s specialty store; India Food & Spices (80 River Street, Cambridge, MA 02139. Tel: (617) 497-6144). It’s this pride in flavor and attention to detail that has attracted locals and travelers alike to India Pavilion for the past three decades. The interior features an understated and simple décor of red and gold which proves to be both inviting and tasteful. A festively lit window reveals the goings on within the kitchen to the patrons seated in the cozy dining area. Vegetarian ($2.50) and meat ($3.50) Samosas were an excellent way to begin the meal. The fried turnovers were filled with green peas, spices, potato and minced chicken and served with a side of chutney that gave just the right bite of flavor to this mild dish. King Fisher Lager (small $3.50, large $5.95), Indian brewed beer, was among many options on the drink menu and turned out to be an ideal way to wash down the generous portions. The Naan ($2.95) was warm and tasty, and the light, fluffy Poori ($3.95) was puffed into the shape of a ball with a thin crispy outer layer. Both breads were a great way to cleanse the palette between bites of the spicy Lamb Vindaloo ($11.95) as well as the Chicken Tikka Masala ($10.95), diced chicken cooked in a tomato cream sauce. 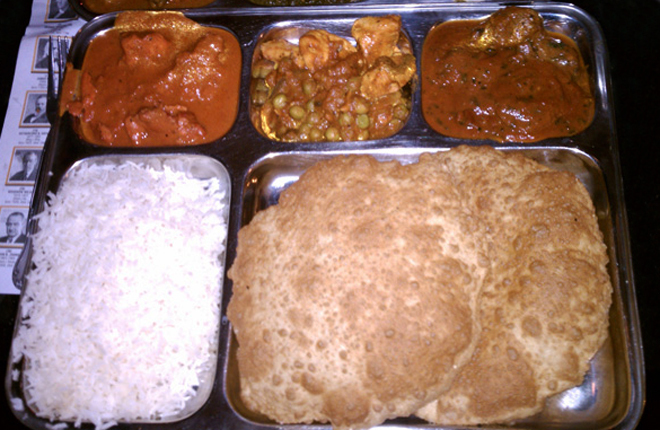 Perhaps the gem of the meal was the Chicken Tandoori (half $9.95 or full $15.95). Early each morning the chicken is marinated for hours in a mix of yogurt and spices then roasted in the tandoor (a clay oven) for unbeatable tenderness and flavor. The rich and filling dinner came to a close with two delectable desserts, Kheer and Gulab Jamun (both $2.50). 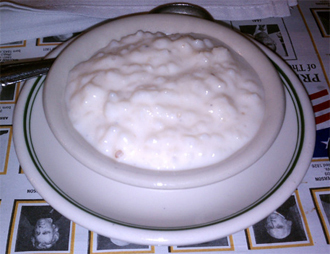 A highlight of the Kheer, or rice pudding, was the refreshing flavor of cloves. 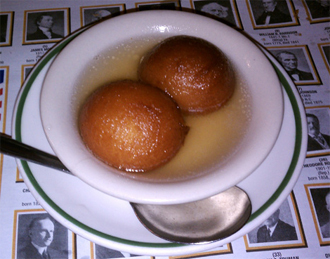 The Gulab Jamun featured two spongy, soft rounds of dough fried and served in a shallow dish and covered in sugar syrup. Be sure to save room for at least one of these treats. After experiencing the flavors, ambience and friendly service offered by India Pavilion it’s no wonder that after thirty-one years the establishment is finally preparing to expand in November. The quaint dining room that currently seats thirty-seven will soon accommodate ninety-five guests and that’s not the only thing that’s expanding. A new menu, comprised of their classic dishes as well as some fresh additions, will also debut with the improved dining room. If their history of success and consistency in high quality, authentic Indian dining is any indication, it’s obvious that India Pavilion will have no trouble filling their seats.